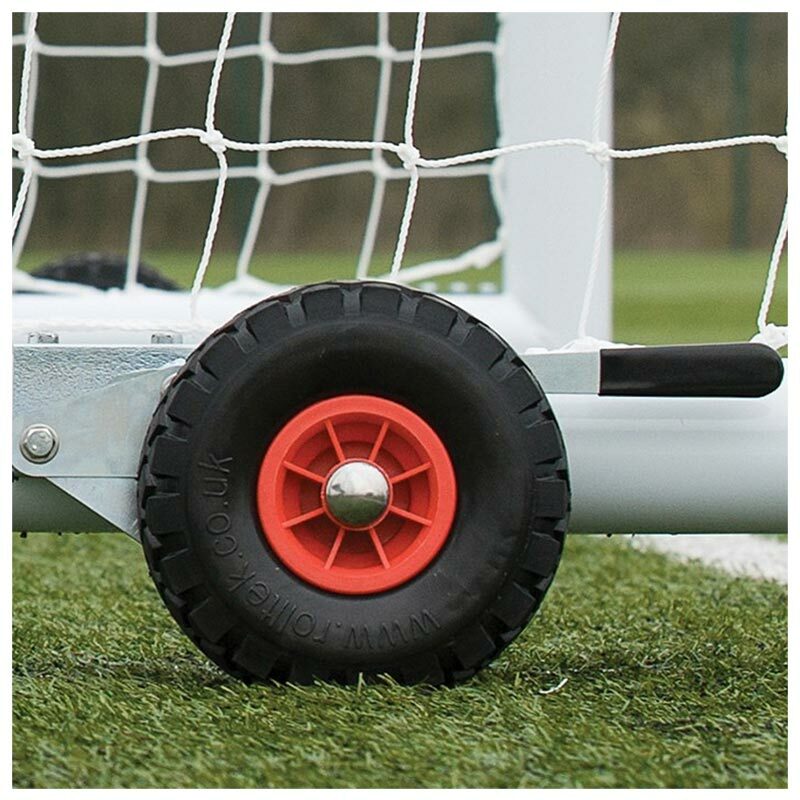 Harrod Sport ® 3G Aluminium Football Portagoals 16ft x 6ft are suitable for use on both grass and synthetic surfaces. 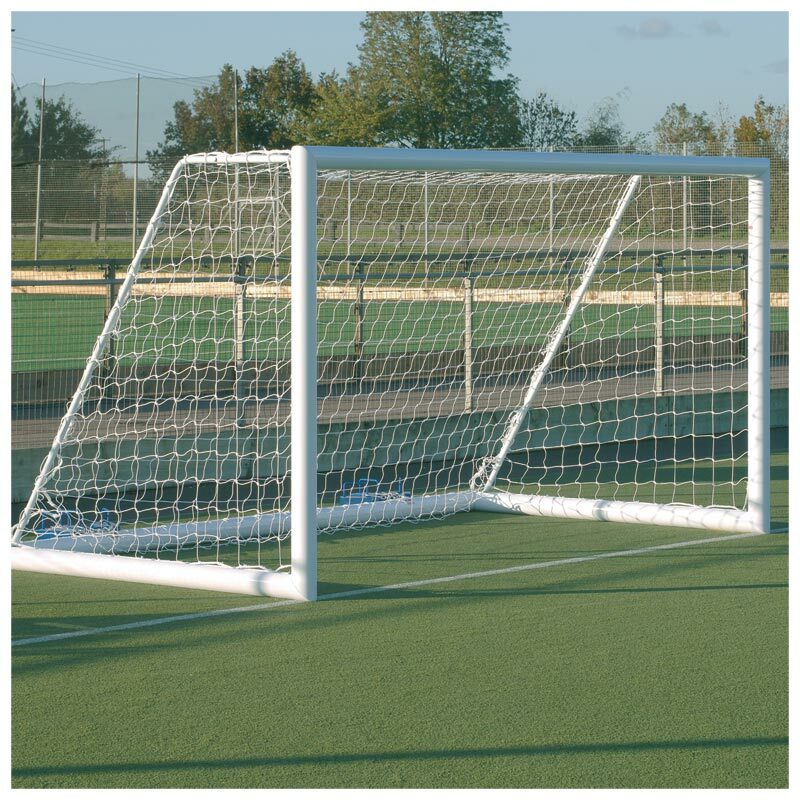 2 x Freestanding Aluminium Goal Posts 16ft x 6ft. 4 x 'U' Peg grass anchors. 1 x Set of Flip Over Portagoal Wheels. 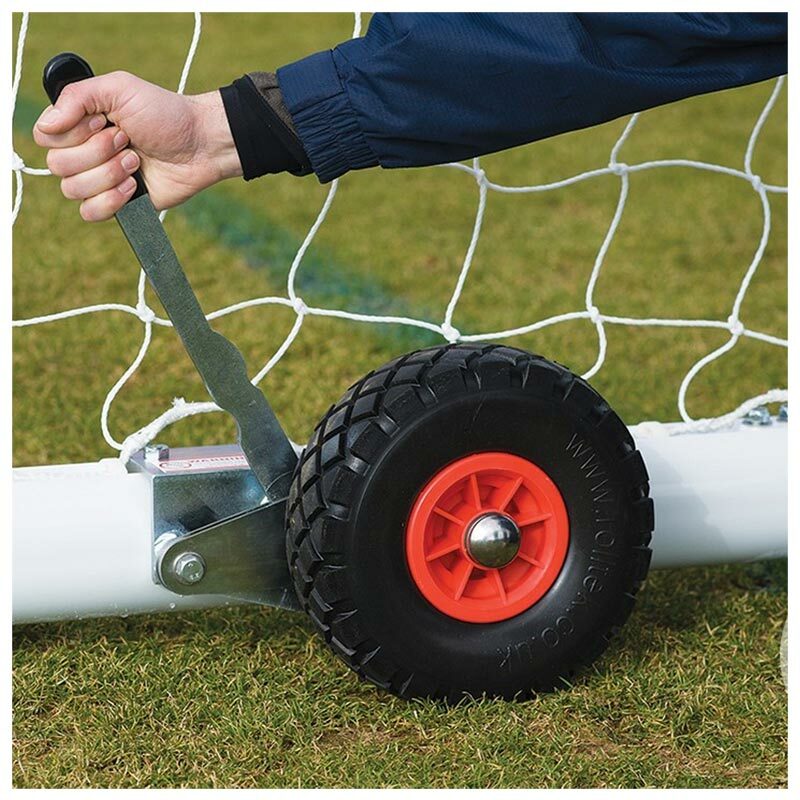 1 x Freestanding Aluminium Goal Post 16ft x 6ft. 2 x 'U' Peg grass anchors. International net supports and diagonal braces manufactured from 31.8mm diameter x 1.5mm thick galvanised steel. Complete with unique lock-on synthetic net hooks and stainless steel bolts. For anchoring on synthetic surfaces 6 x counterbalance weights are required per goal (not included). Please search on our website for Harrod UK Counterbalance Weight Anchor.Complete with 'U' Peg grass anchors. Size 4.88m x 1.83m (16' x 6') - 126kg per pair, 63kg per single.